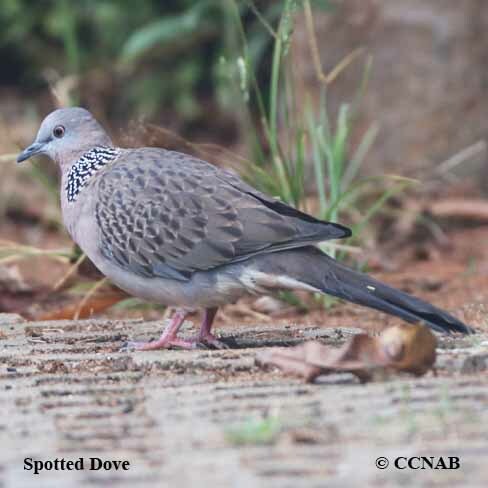 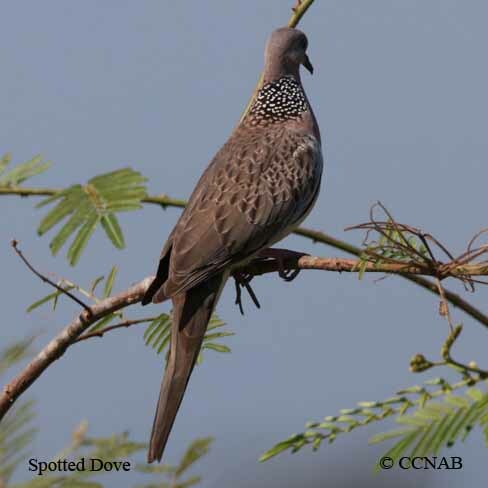 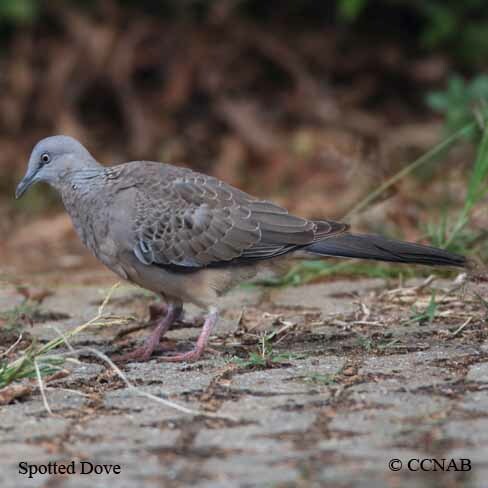 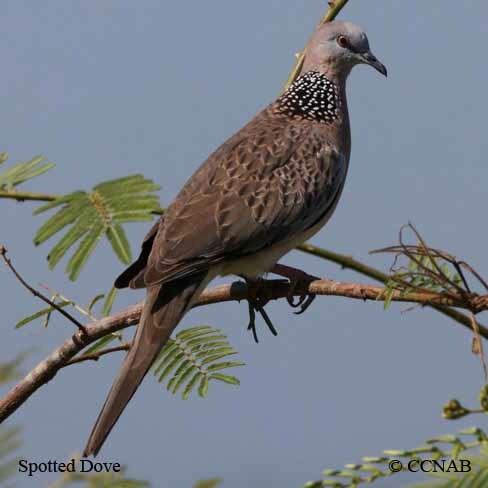 The Spotted Dove is one of the largest doves seen in North America. 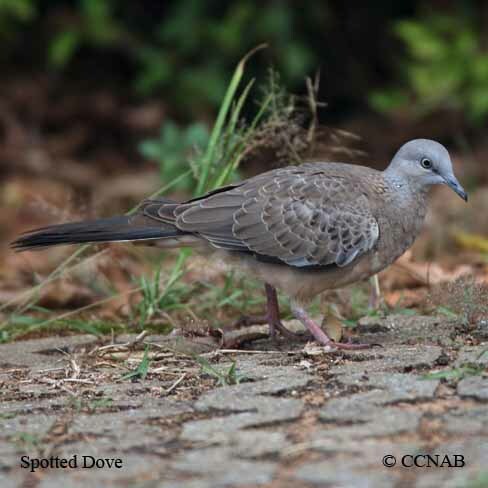 This is an introduced species from southeastern Asia, that is found in an area in the city of Los Angeles, California. 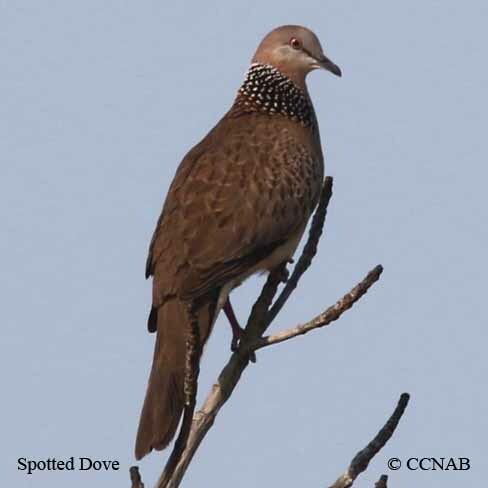 It is not yet considered a bird part of the ABA list, which governs what birds species are considered wild and free birds seen within the North American perimeters.